There are some strange radio formats in the US. One is Beatles-only (KJME 890), and then there is the radio shopping format, found on KHSP 1400 (heard in 2013), and also on WRMN. Everything for revenue, I suppose. WRMN was heard the last day in March, and a brief but friendly email confirmed my reception today. WONE was noted with excellent signal levels one night during our Mount Loran remote stunt last October. Quick and friendly response from their CE last night. #15 on 980. WPGR was heard with "We Are One Body" Catholic programming one evening in early January, while still on daytime power. Friendly response from the Operations Manager this evening. Thanks OJS for info. 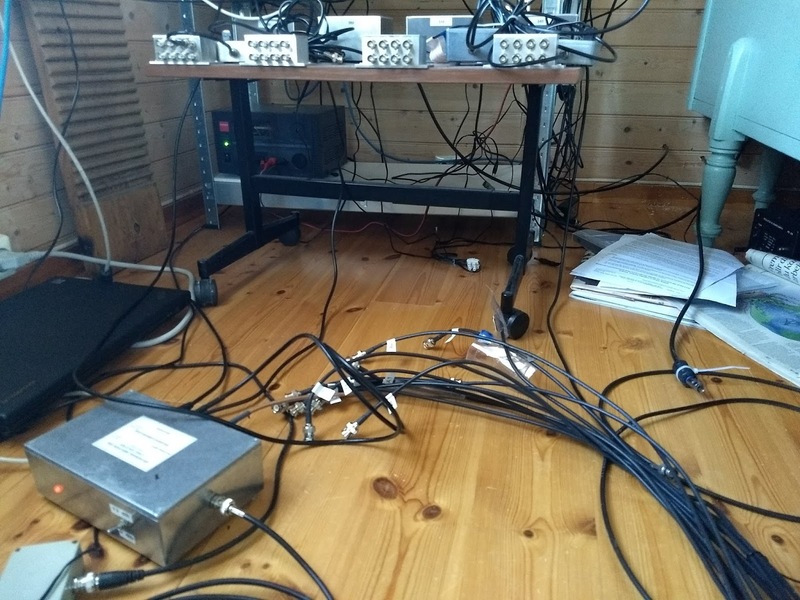 MW DX Season Is Over - Time To Tidy Up! Mid-April is rarely an exiting time for DX in my latitude. And with the current solar disturbance, there was really no point in doing another week. So, starting this weekend, gear will be packed away, and the beverages removed. What will remain is the 70-metre longwire and of course the KongSDR. It's been an unusually snowy winter, and the first one where I simply didn't find the starting point of the 310-degrees beverage! Let's hope for a quick thaw. Propagation has not been outstanding. Especially the first, often exciting part of the season got hammered with corona holes. Still, quite an amount of new stations. I'm especially satisfied with finally hearing a good ID on Solomon Islands Broadcasting Corporation, 1035 kHz, and the new Radio Kiribati outlet on Christmas Islands, 846 kHz. First heard in 2016, but heard again with a better signal today. Very swift email response this evening for my #1300 North American station. 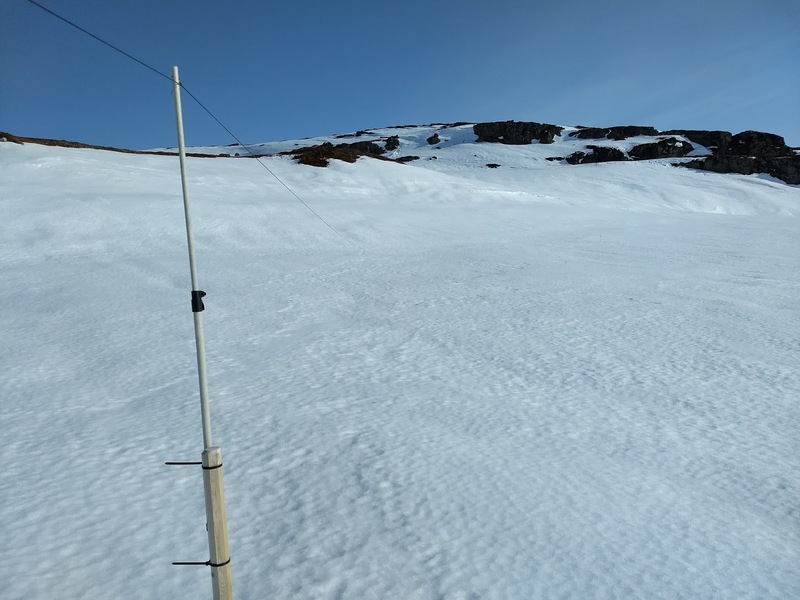 Late March was a good time for NA DX-ers, at least for those with radios at Smøla island. OJ Sagdahl detected this first, and alerted me to listen to 1290. That was a jaw dropping experience. Another one from Delaware, the most elusive state of all??? The "Fox Sports 1290" ID was indicative but not conclusive, however every internet search pointed towards WWTX. And yes, WWTX confirmed this was their announcement, and that they had been running at night power! 32 watts! Third Delaware verie, the second in 2018. Happy days! March 31 was an interesting night for NA DX, and WTPS is no common station on 1240. Very good signal on top of the hour though, and I received an email response after just three minutes. My contact mentioned he got one report from Sweden the week before, but "Your reception was clearer however." I can live with that! 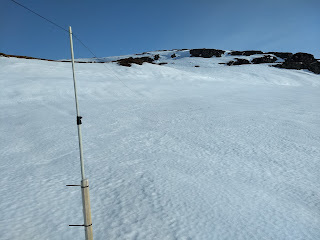 As it's only a month and a half until we see the midnight sun, MW gradually loses momentum - although we're still hearing interesting DX from North America and Asia/Pacific.